You are here: Welcome-to-KYOTO .com > The Gion Matsuri (Gion Festival) July 1-31 > Introduction of the floats. 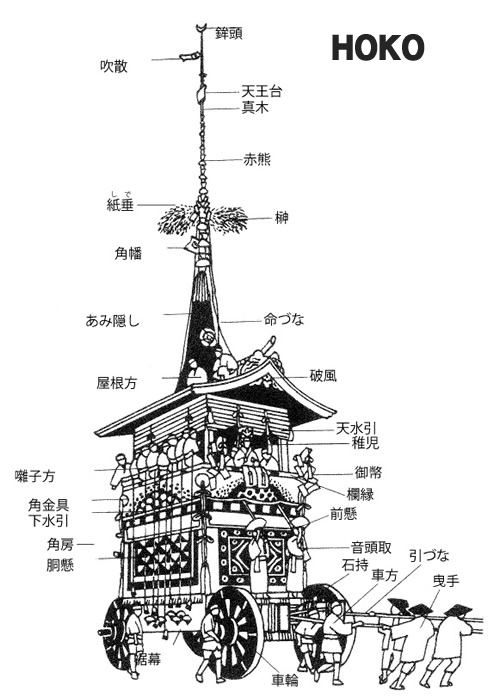 Floats participating in the Gion festival (23 floats at the former festival and 10 at the latter festival) can be roughly divided into two types, "YAMA" and "HOKO". See the pictures below. Each of these floats is built and operated by the unit (called "Kaisyo", meant as neighborhood)of each street block in the Yamahoko-cho area where this festival is held.Visiting ”Kaisyo” in the eves of the float procession, you can closely see luxurious carpets and accessories to decorate the float and can even actually get on the upfloor of Hoko. Some of the tours at famous Hokos may be charged. 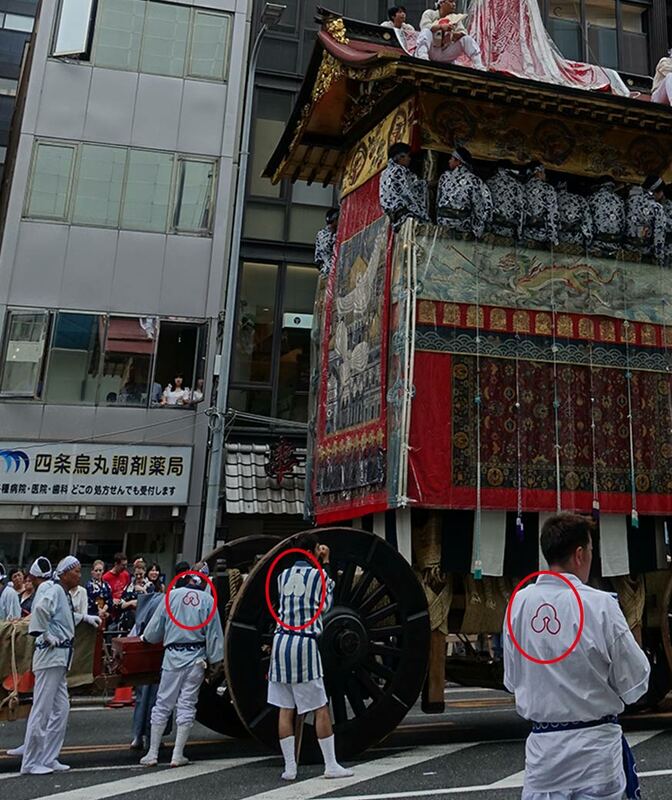 The greatest feature of this float is the fact that the praying mantis and the wheels of the cow cart are linked to move together with an old traditional mechanical method. So this Toro-yama is regarded as one particularly unique among the Gion floats. 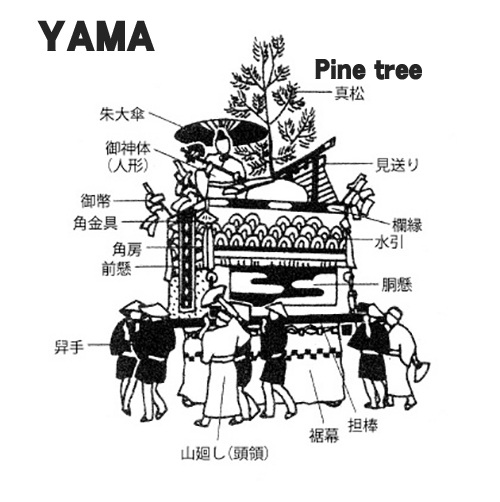 “Yamabushi” are Japanese mountain ascetics. According to their beliefs, mountains are the abode of supernatural powers and wisdom, which any man may acquire by practicing austerities for the proper amount of time. The figure on this float is “Jozokisho”, a famous Yamabushi in typical costume: a long white robe, with a hatchet and a rosary in his hands, and a conch shell in his belt. And now the topic among the women who love Mickey Mouse is Three disks which is the symbol of Hoka-hoko because this shape seems to have inverted Mickey's silhouette.